2018 is the year of the Leopold Museum: as Vienna celebrates Viennese Modernism and its protagonists Klimt, Schiele and Moser, the Leopold Museum traces an arc from the movement’s beginnings with Anton Romako to the Schiele jubilee exhibition, via Klimt, Moser, Gerstl, Kokoschka and the photographers Moriz Nähr and Madame d’Ora all the way to Brus and Palme, while the exhibition “WOW! The Heidi Horten Collection” unites 100 years of art history from Klimt to Hirst. A century ago, the year 1918 saw the passing of the protagonists of Viennese Modernism Gustav Klimt, Egon Schiele and Koloman Moser who shaped the period of Vienna around 1900. Seeing as these artists and their milieu provide important emphases within the collection of the Leopold Museum, they will dominate the museum’s 2018 exhibition program. “Next year, we will be able to offer the most important exhibitions throughout this anniversary year of Viennese Modernism,” Wipplinger announced proudly. the presentation also features Kolo Moser’s paintings as well as outstanding examples of design from around 1900, including furniture, artisan craftwork and posters, created by this “artist of a thousand talents” and co-founder of the Wiener Werkstätte. 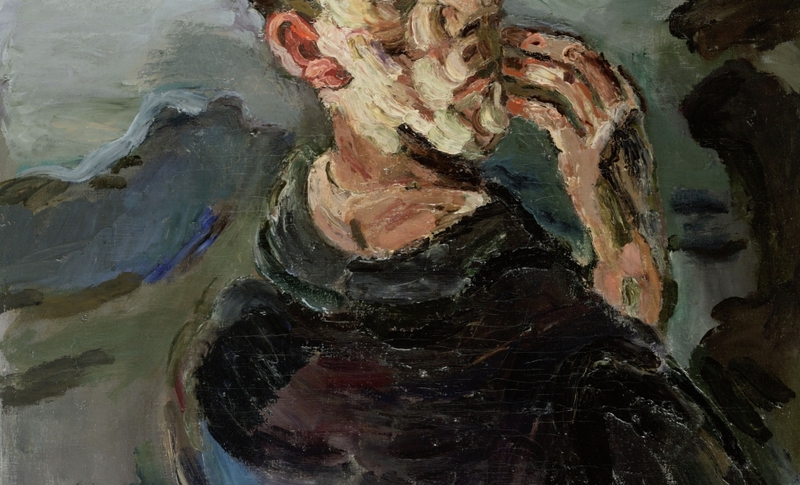 The radical works by the proto-Expressionist Richard Gerstl will once again be on display at the Leopold Museum following their tour with stops in Frankfurt and New York. 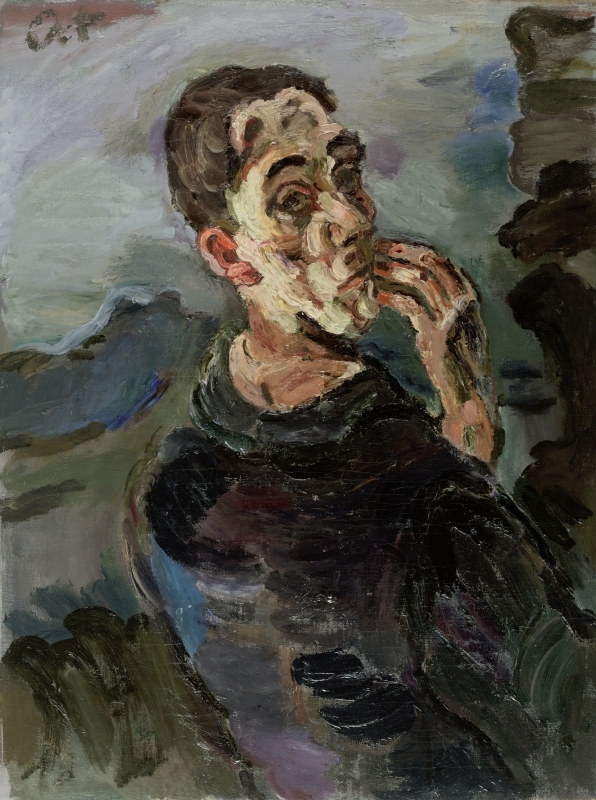 Featuring his trend-setting Self-Portrait, One Hand Touching the Face created in 1918/19, which is a symbol of Austrian art embarking on a new era, Oskar Kokoschka, the enfant terrible of the Viennese art scene of the early 20th century, completes the tetrad of heroes in the only permanent Kokoschka hall in Austria. Director Wipplinger is also delighted to present the jubilee exhibition "EGON SCHIELE” (3rd March – 4th November 2018) commemorating the 100th anniversary of the artist’s death, which he will curate together with Diethard Leopold. Seeing as the Leopold Museum is home to the largest and most eminent collection of works by Egon Schiele, a special exhibition will be dedicated to the artist for this anniversary: unique in its juxtaposition of paintings and works on paper – which for conservational reasons will be shown in three separate stages – the presentation will touch upon the most important themes in the life and work of the artist and, according to Wipplinger, “promises to be the ultimate Schiele jubilee exhibition”. "SCHIELE – BRUS – PALME”, three enfants terribles of their respective generations, will broaden the conventional concept of art with their works in this exhibition (3rd March – 11th June 2018). Egon Schiele’s unsparing exploration of the individual, of the self, provided a necessary but unsettling prelude to the 20th century ravaged by two world wars. In the 1960s, Günter Brus revisited the body as a major theme in art, with Thomas Palme continuing Schiele and Brus’ legacy with his graphic works one generation later. The exhibition will provide for a fictitious – and in the case of Brus and Palme also a direct – dialogue, transcending temporal, spatial and social borders. The exhibition will be curated by the head of the Graz Bruseum Roman Grabner. The beginning of Modernism will be highlighted with the exhibition “ANTON ROMAKO” (22nd March – 18th June 2018). The retrospective curated by Marianne Hussl-Hörmann showcases eminent works from the oeuvre of this unusual painter. Since Rudolf Leopold recognized Anton Romako’s importance as one of the great pioneers of Modernism very early on, the Leopold Museum as well as the Leopold Private Collection house one of the most comprehensive collections of works by the artist today. 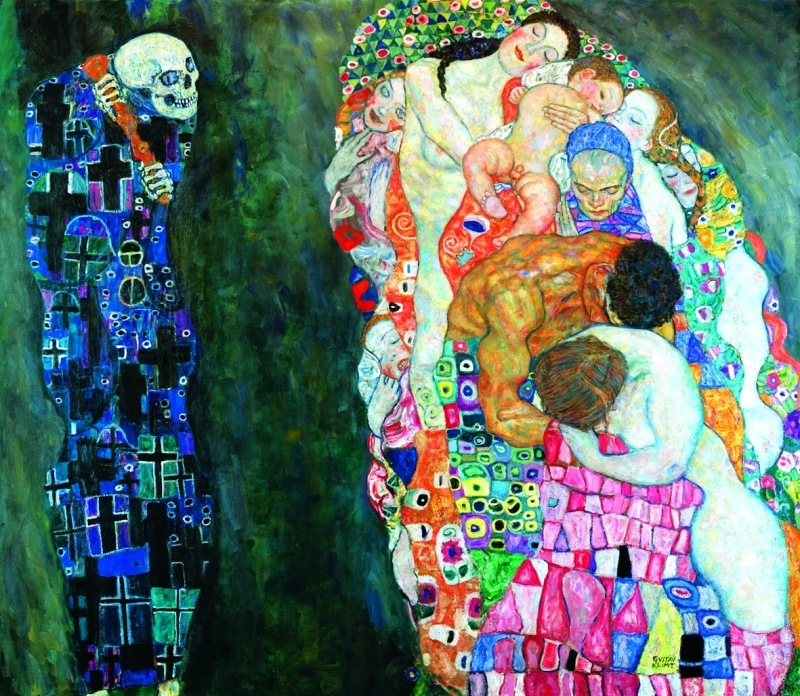 In the presentation “GUSTAV KLIMT” (22nd June – 4th November 2018), the artist, who also passed away in 1918, will be honored with a special exhibition commemorating the 100th anniversary of his death and retracing his evolution from an exponent of late Historicism towards the most eminent representative of Viennese Jugendstil. Along with works from the holdings of the Leopold Museum and the Leopold family’s private collection, the presentation will feature exhibits from the Klimt Foundation, works given to the museum as a permanent loan by a Klimt descendant as well as select international loans. Director Wipplinger emphasized the presentation of Klimt’s Symbolist painting The Bride curated by Sandra Tretter (Klimt Foundation). 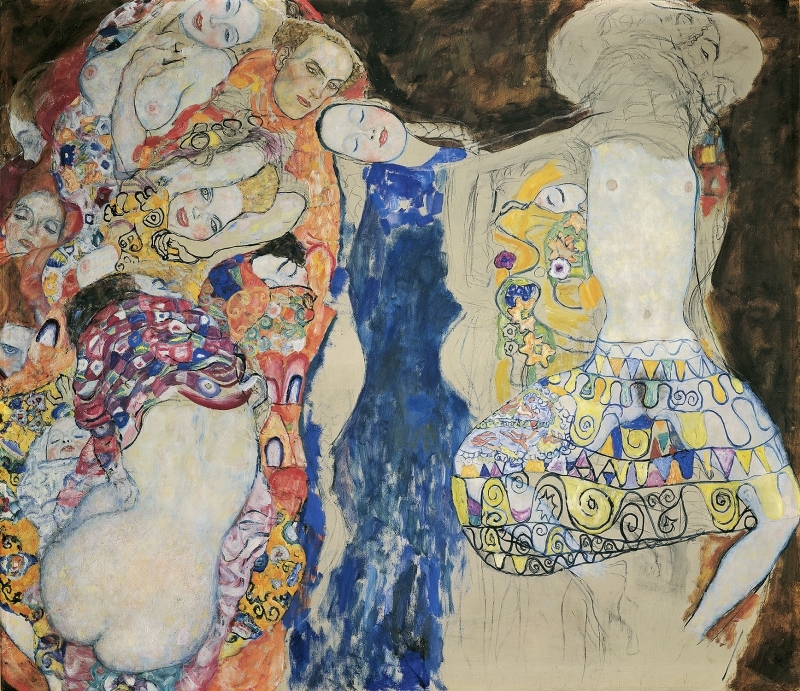 The group of figures rendered in the painting will be shown for the first time in connection with drawings and sketches of the depicted protagonists, most of which also hail from the collection of the Klimt Foundation.